People do not psychologically benefit from economic expansions nearly as much they suffer from recessions. The short video above, from Jan-Emmanuel de Neve of LSE’s Centre for Economic Performance, shows how what David Cameron once called GWB (general wellbeing) gets left behind by GDP (gross domestic product – a measure of the overall economic fortunes of the nation). Cameron did say back in 2006 that GWB was the more important measure, but something tells me he may be tempted to forget that in the run up to the election. The economy is growing at last (three years later than advertised) but people’s wellbeing will take even longer to recover. There are many reasons for that, but partly it’s about the good old loss aversion effect. Lagging behind. The guy in the black shirt really has no chance of winning the Giro d’Italia – fundamentally wrong approach to cycling there. I’m sure his wellbeing score’s going to suffer. A period of hardship has a much bigger impact psychologically upon the people affected than is allowed for by traditional ‘rational actor’ economic theory. The lazy assumption used to be that if a country grew its GDP over the long term, that was effectively the same as growing the wellbeing of its people. Feelings of wellbeing do generally rise when GDP rises, that much is true; but there is an important caveat to how the two interrelate. It’s about how we experience – and subsequently regard – periods of loss. As de Neve explains, measures of wellbeing show it taking a relatively big, lingering hit from even small recessions. Wellbeing sinks further than the economy does in the bad times. Psychologically we are knocked for six. And when the economy picks up and starts to grow, we are slow to follow. Unlike pounds and pence, we have feelings, memories and experiences. These move to a different rhythm than the economic cycle. By the time the next recession hits, “wellbeing” may have only managed to claw its way back up to square one again. So the link between GDP and wellbeing is not about the overall trend – it’s about the frequency of the dips, those reminders of our frailty and vulnerability. We are haunted by memories of how bad things have been and how bad they could be again. Why are we like this? Well, it makes sense. Having to cope with negative events engages you. You face up to truths and make changes. You want to make sure you’ll be better prepared next time. Not to do so is to leave yourself vulnerable. So you see to the defences first; only when you are safe can you start to relax. In football terms, we tend to be much more like George Graham than Mario Zagallo: the beautiful game has to wait until the defence is sorted out. 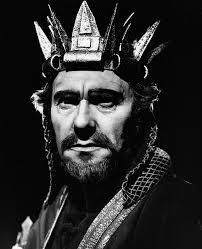 Macbeth achieved his ambitions, only to find it impossible to enjoy what he thought he wanted (“To be thus is nothing; But to be safely thus …”). OK, so we haven’t all murdered our way to the Scottish throne – at least I don’t think I have. But I wonder if there isn’t something we can do to let our wellbeing recover more quickly from the setbacks of economic slumps. 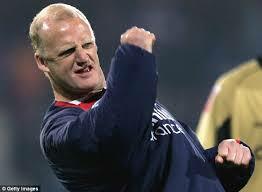 Shakespeare didn’t have a word for it, but Iain Dowie, the former manager of Crystal Palace, did: bouncebackability. A book I’m reading, Professor Paul Dolan’s Happiness By Design, offers a way. Dolan defines happiness as “experiences of pleasure and purpose over time” (my italics). Wellbeing, says Dolan, isn’t about how we think, it’s about what we do. 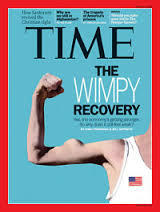 Perhaps our recovery can be speeded up if we have a sense of wellbeing less exposed to the buffeting of economic winds and based more upon the people and activities that have meaning for us. After all, money – and GDP for that matter – is only ever a means to another end. This entry was posted in 21st Century Britain, All Over The World, Society and tagged behavioural economics, Daniel Kahneman, economy, happiness, Paul Dolan, wellbeing. Bookmark the permalink.